Our Youth Programs have finished for Summer 2016 as the kids are now back to school. This summer was jam-packed with activities for juniors and teens. They enjoyed a range of outdoor adventures from mountain biking, whitewater rafting, rock climbing, hiking, kayaking, and stand up paddleboarding. We had on offer Bushcraft Week, which was very popular with kids both big and small. Over the course of a week they learnt about firecraft, building shelters, the safe use of wilderness tools, setting traps, and wilderness survival tips! 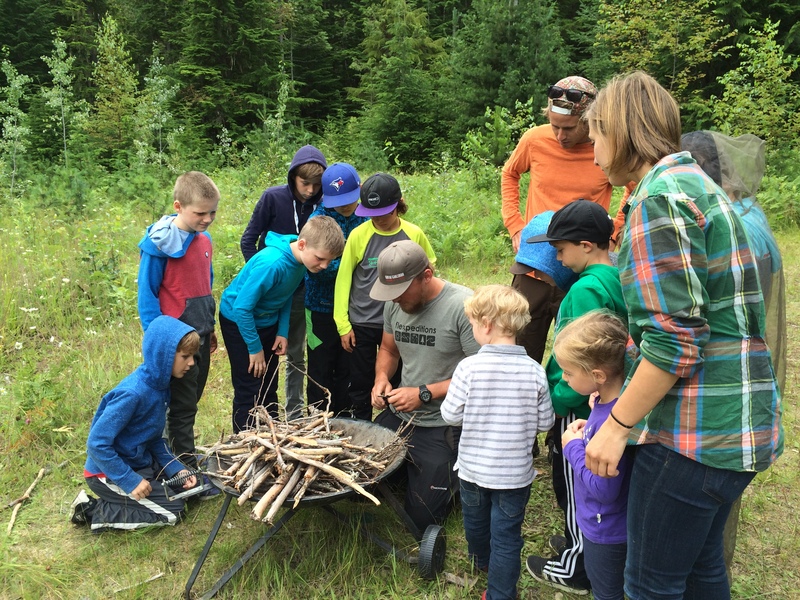 In the photo on the right the bushcrafters are learning about the best methods of fire building and what technique would work best and why. All of our camps are for ages 11-13 & 14+. We will be running two simultaneous camps this year. Minimum numbers are required. There is a maximum of 12 youths per program. You can also sign up for our climbing or kayaking packs - 4 pre-paid climbing sessions per month in May, June, July or August (available on Mondays or Tuesdays only) and/or 4 whitewater Wednesday kayaking sessions per month - May - July (available on Wednesdays only). For programs for younger outdoor rugrats under 11 years old, check out the Little Explorers Adventures and NCES' Jr Naturalists.